Pleased to have "THE" story of 2011, news truly worth reporting for once, the car crash of the century: the infamous Monaco Demolition Derby which took place on the doorsteps of Monaco's Casino, in front of thousand of onlookers, truly a once-in-a-lifetime sight to behold. These French blond ladies sure know how to make a entrance, albeit not in the most elegant way. This is stuff they couldn't even dream up in Hollywood. 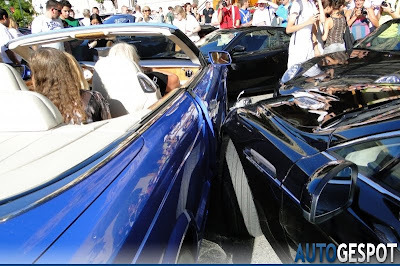 First reported by Autogespot, the infamous Bentley Fender Bender story is now spreading like wild fire across the planet. Quite by accident, these French ladies have truly become the world's peace keepers uniting millions of people in smirks everywhere. I already loved the French for their wine and cheese, but this really does it. I am moving to France (no, not Monaco). 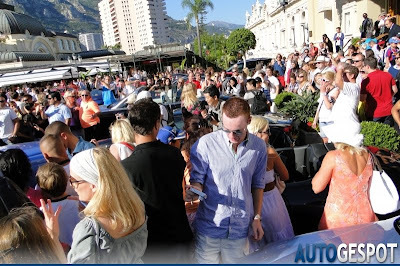 Getting it on in Monaco: Bentley, Ferrari F430, Porsche Carrera, Aston Martin and Mercedes S-Class (image credit Autogespot). 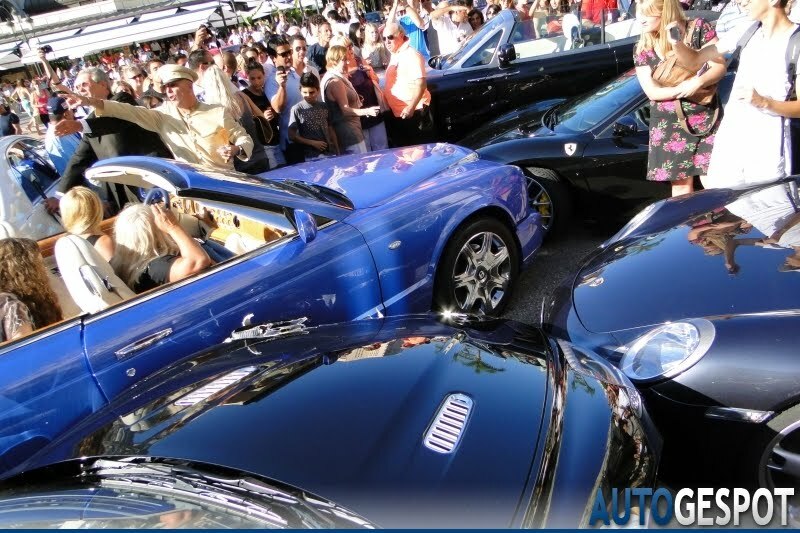 Super Car Mayhem (image credit Autogespot). Stay calm ladies, it's only a Ferrari F430 (image credit Autogespot). Panem et Circenses (image credit Autogespot).